Pulwama (Jammu and Kashmir) [India], October 3 (ANI): A Police Head Constable, Ashiq Hussain, was shot dead by terrorists on Monday near Awantipora's Padgampora village in Pulwama. Pulwama (Jammu and Kashmir) [India], Sept. 26 (ANI): Intensifying its drive against drug peddlers in the Jammu and Kashmir, the Pulwama Police on Tuesday conducted raids at various locations in district and arrested one in connection. Pulwama (Jammu and Kashmir) [India], Aug 7 (ANI): Lashkar-e-Taiba's (LeT) terrorist Umer of Abu Ismail group was killed in an encounter with the security forces in Samboora area of Jammu and Kashmir's Pulwama district on Monday. Pulwama (Jammu and Kashmir)[India], Aug 7 (ANI): An encounter broke out on Sunday between the security forces and terrorists in Samboora area of Jammu and Kashmir's Pulwama district. Srinagar (Jammu and Kashmir) [India], Aug 2 (ANI): The separatists in Kashmir called for 'bandh' on Wednesday to protest the killing of two Lashkar-e-Taiba (LeT) terrorists and a civilian on Tuesday. Pulwama (Jammu and Kashmir) [India], Aug.1 (ANI): In a major breakthrough, Lashkar-e-Taiba (LeT) chief commander Abu Dujana of Pakistan along with his accomplice were killed in an encounter with security forces at Hakripora village in Jammu and Kashmir's Pulwawa district on Tuesday. Pulwama (Jammu and Kashmir) [India], Aug. 01 (ANI): The encounter between security forces and Lashkar-e-Taiba (LeT) terrorists has ended at Hakripora village in Jammu and Kashmir's Pulwama district, but heavy stone pelting by locals on security forces has started. Pulwama (Jammu and Kashmir) [India], Aug. 01 (ANI): An encounter between security forces and Lashkar-e-Taiba (LeT) terrorists is underway at Hakripora village in Jammu and Kashmir's Pulwama district. 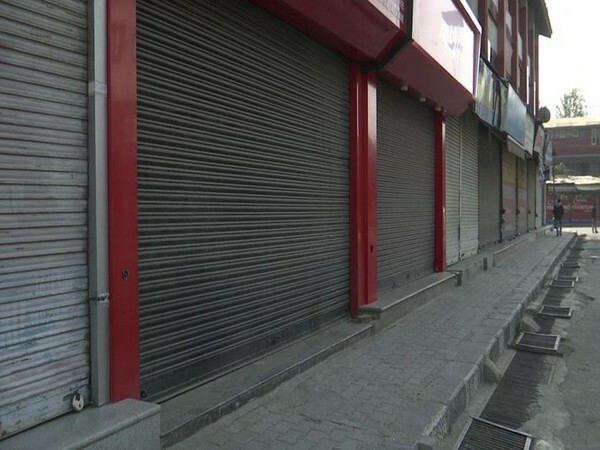 Pulwama (Jammu and Kashmir) [India], July 30 (ANI): Internet services have been snapped in Jammu and Kashmir's Pulwama district after two Hizb-ul-Mujahideen terrorists were gunned down in Tahab area on Sunday. Pulwama (Jammu and Kashmir) [India], July 30 (ANI): Operations have been called off in Jammu and Kashmir's Pulwama after two Hizbul Mujahideen terrorists were killed in an encounter in Tahab area on Sunday.